It’s good to have a healthy relationship with your friend’s mother. Right? Colin certainly seems to put her in some very complex positions. Pauline’s mother is very pretty. pauline’s mum is japanese ._. 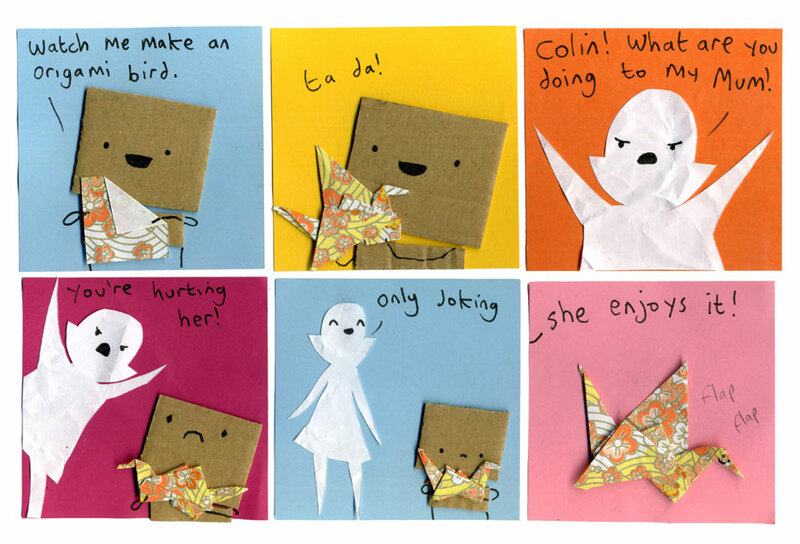 I love origami, so this is the perfect comic for me!! Although no comic will beat the pig comics, in my opinion. wasn’t paulines mother a different pattern? Yep, and I used to be blonde.